We’ll reveal the latest internet trends in the Japanese market and discover why translating your website into Japanese could increase your chance of winning new business fourfold. Smartphones are selling like hotcakes in Japan – 35.4% of people currently own one, compared to just 19.5% in 2013. A veritable must-have for younger generations, 72.5% of people in their twenties use a smartphone to get online and unsurprisingly, the most coveted device is Apple’s iPhone. Yahoo! 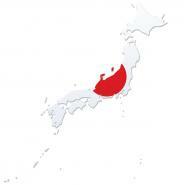 Japan possesses a greater share of the market than global juggernaut Google, at 51.4% compared to 36%. Reasons for this include greater social and professional networking capacities, easier usability and greater accuracy of Map functions compared to Google. Facebook’s popularity spread like wildfire in Japan between 2010 and 2012, yet home-grown mobile application Line, the world’s fastest growing social network, now dominates the market. With around 40 million users and counting, you need to be seen advertising on these networks to gain exposure. Japan currently ranks as the fourth largest e-commerce market worldwide, counting 73.3 million people online shoppers in 2012. With e-commerce sales set to rise to over $175 million in 5 years’ time, it’s certainly time to start thinking about opportunities for your business in Japan. Why are the Japanese 4 x more likely to buy from your website? Effective communication online is paramount and research shows that internet users are 4x more likely to purchase from a website in their own language (Forrester Research). Targeting the booming Japanese market with a fully localised website may be just the spark your global expansion plans need. Quite a task indeed, but Comtec is here to support you every step of the way. Also be sure check out our top tips to see how we can make the website localisation process go even smoother!